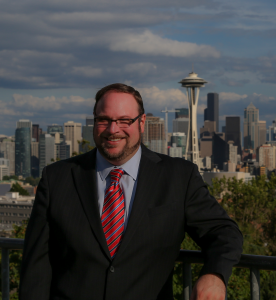 Joe Gehrke is an attorney in our Seattle office. He is a civil litigation attorney, an experienced dispute resolution practitioner, and a consummate advocate for his clients. Mr. Gehrke represents clients in matters involving bad faith insurance, consumer advocacy, discrimination, employment litigation, estate planning, immigration, malpractice, medical negligence, pedestrian and bicycle law, personal injury, premises liability, and product liability. Prior to joining the Cross Border Law team, Mr. Gehrke’s practice included insurance defense, education law, construction law, and real estate law. He was a judicial intern to The Honorable Garrett E. Brown, Jr., U.S.D.J., Chief Judge of the United States District Court for the District of New Jersey; an Executive intern with the Office of the New Jersey State Attorney General, Division of Consumer Affairs, Alternate Dispute Resolution Unit; and a Research Assistant to Professor Kevin B. Kelly of the Center for Social Justice at Seton Hall University School of Law. In law school, Mr. Gehrke was selected for the Juvenile Justice Clinic where he represented indigent juvenile defendants accused of a wide range of crimes, including homicide. In recognition of his exceptional skill and dedication to his clients, Mr. Gehrke was honored with the prestigious Juvenile Justice Clinician’s Award, the annual award for the most outstanding contribution made in service to the clinic. Mr. Gehrke also served as Chapter Justice of the William Paterson Chapter, Phi Alpha Delta Law Fraternity, International, and Director of Competitions of the Seton Hall Law Dispute Resolution Society. Joe volunteers as a pro bono attorney with the King County Bar Association’s Housing Justice Project representing tenants faced with eviction and homelessness.